« High School CAM Class, Episode 5: Plotter Pens! Thinking about adding CNC technology into your production? ShopBot Tools has announced a special offering for attendees at this summer’s International Woodworking Fair (IWF) in Atlanta, August 20 – 23. 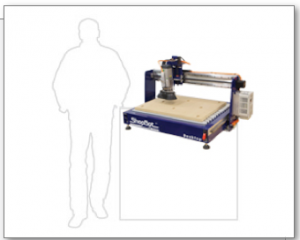 For those who are seriously exploring CNC solutions in woodworking (or virtually any material), ShopBot will demonstrate the cutting of your design, live at the event. Patterson invites you to send him information about your product and production needs, and include a design that ShopBot will cut on either the ShopBot PRS Alpha 96 X 48 with Automatic Tool Changer, or ShopBot Desktop. Your design can be anything from a pencil sketch to a CAD drawing file — we’ll take it from there and get it prepped to cut. Interested? Send an email to ryan.p@shopbottools.com. You’ll need to contact Ryan by August 8th in order to “make the cut.” In your email, mention your production needs, and attach your design. The ShopBot team will perform material cutting for a limited number of IWF attendees on a first-come first-served basis. 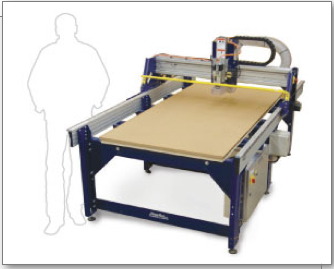 ShopBot Tools has specialized in serving the needs of small to medium-size cabinetmaking, furniture, and other woodworking businesses for years. But their tools are also widely used on materials such as plastics, MDF, styrofoam, and soft metals such as aluminum, in a wide array of industries. “This includes aerospace, transportation, consumer products, hotels and restaurants, the list is endless,” noted Patterson. Manufacturers using wood or other materials are encouraged to get in touch with Ryan Patterson. “We’re not just about providing tools,” Ryan summed it up. “ShopBot is here to help solve problems. What sets us apart, aside from providing affordable CNC tools, is the group of services and resources we offer to support your success.” These include free access to user forums and communities such as 100kGarages.com, in-person and online training classes, and free technical support.